Ever wondered what 500 tonnes of Mackerel looks like?? At 52 kg. it should be able to feed a few hungry mouths. LOL, maybe part of the record ! So what is the "little beauty"? 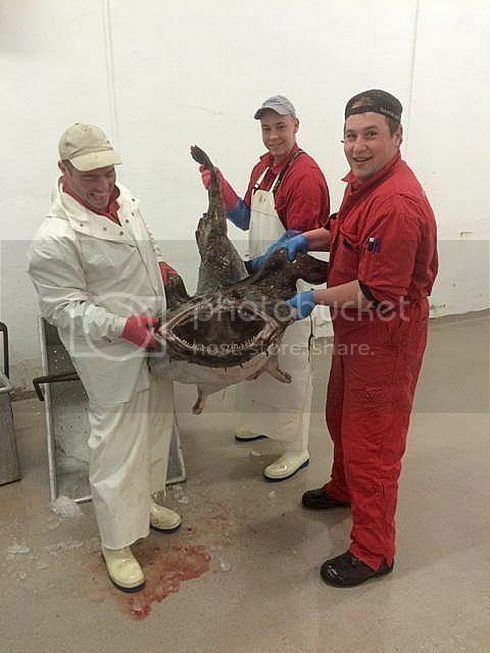 It is a Monkfish (Breiflabb). Very good to eat and now popular in Norway, although expensive. In the "good old days" (some 30-40 years ago) it was killed and thrown back. Thank you. I think that is one that I have tried from our market-day fish stall, and didn't like. I'm reluctant to spend money on another try in case my recollection is correct! It tastes a lot like lobster actually. Give it another try, but make sure it is the real thing. A small piece is not going to brake the bank. Monkfish is called lamproie or lotte in French.It is considered as a first-class dish and cooked in the best restaurants.Since its head is horrible we find only its tails on the stals.I use to cook it in many ways,its texture being appropriate to all sorts of recipe. You'll have to google translate but it's easy. OK, gentlemen, you have persuaded me and I'll try it again with that recipe. It certainly sounds great. My schoolgirl French sufficed for translation except for gousse, ail et cuillère. Today was market day but it was pelting down and I didn't think it was worth getting soaked, so it must wait for next week - if my fishman has it with him. I had to investigate Nuoc Mam sauce as I don't know it. I see it contains chillies, which I don't like but there seem to be several varieties and if I can't find one minus chillies then I'll have a go at making my own. Stand by for authentic Wherry Fish Sauce. If you're not careful you will turn me into a celebrity chef! Gousse d'ail=clove of garlic.Cuillère (good spelling cuiller)=spoon. I don't use Nuac Man. Sorry, Yves, I forgot to say that I had Googled the three words. But I'm glad you don't use the Nuac Man sauce, as that signifies that you find the recipe delicious without. You have seen hundreds of fishing vessels here on CVF, big and small. 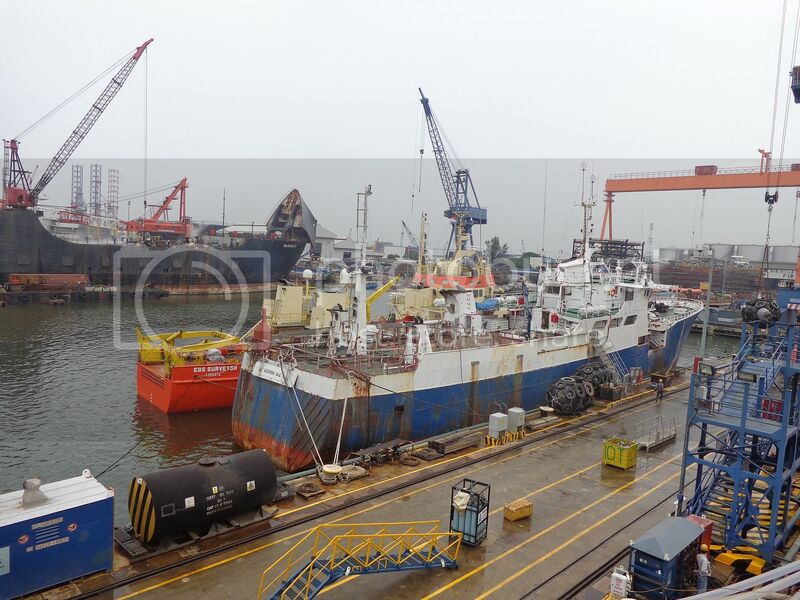 Many of them Factory Trawlers of the type shown in this video. 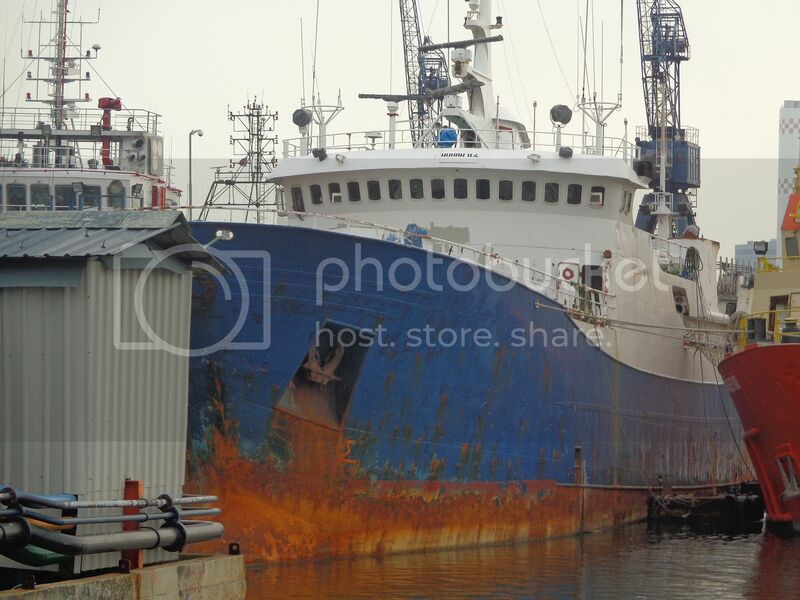 Actually most if not all Norwegian Factory Trawlers has cut down on the processing on board. They freeze and deliver the fish as "headed and gutted" only. It is then sent to China, where it is defrosted and filleted by hand, re-frozen and packaged for the world market. It cuts down the crew on the trawlers from abt. 35 for full processing on board, to abt. 15. At two full crews per trawler and Norwegian cost level, that is a lot cheaper then what you saw above. Last edited by ombugge; March 2nd, 2017, 11:13. 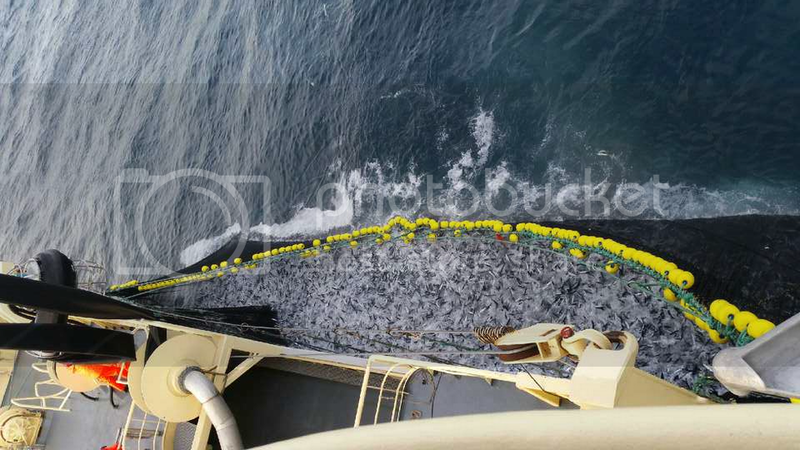 After these pictures were posted on CVF I was contacted by a person in Norway who was engaged in the identification and capture of these pouching vessels. (No he did not belong to Sea Shepards) I sent him the high resolution pictures by e-mail. On Christmas day last year, Sam Simon commenced retrieval operations to remove the illegal fishing gear abandoned by the Thunder when it first fled from the Bob Barker. More than 72 kilometres of illegal gillnet was recovered over a three week period and over 1,400 fish, weighing a total of 45,000 kilograms, were returned to the ocean. Poaching vessels such as the Thunder are a primary target of the SSCS’s 11th Southern Ocean Defence Campaign, Operation Icefish. If she was catching Toothfish she would have been using long line, not gillnets and if the fish had been hauled up from the depth these boats usually do their deeds, the fish that they returned to the ocean would have been dead. Not exactly a lie; the fish was returned to the ocean, but as food for other fish and bottom dwelling creatures. It just shows that the Sea Shepherd crowd either don't know much about fish, or it is their normal light regard of facts shining through. That's a nice RORO in the back, though odd looking ..
Well, what flag did the Thunder fly, when she docked in Singapore ? HD-36 Volharding en route Den Helder. TX-96 LOUISE MARLOU close to Amsterdam. BM 27 OUR MIRANDA en route Den Helder. It takes a Tromsø-based master to make increadible images of something so ordinary as a fishing boat! Your images is such a thrill to see, study, and to watch.... thank you a million times for these inspiring shots!